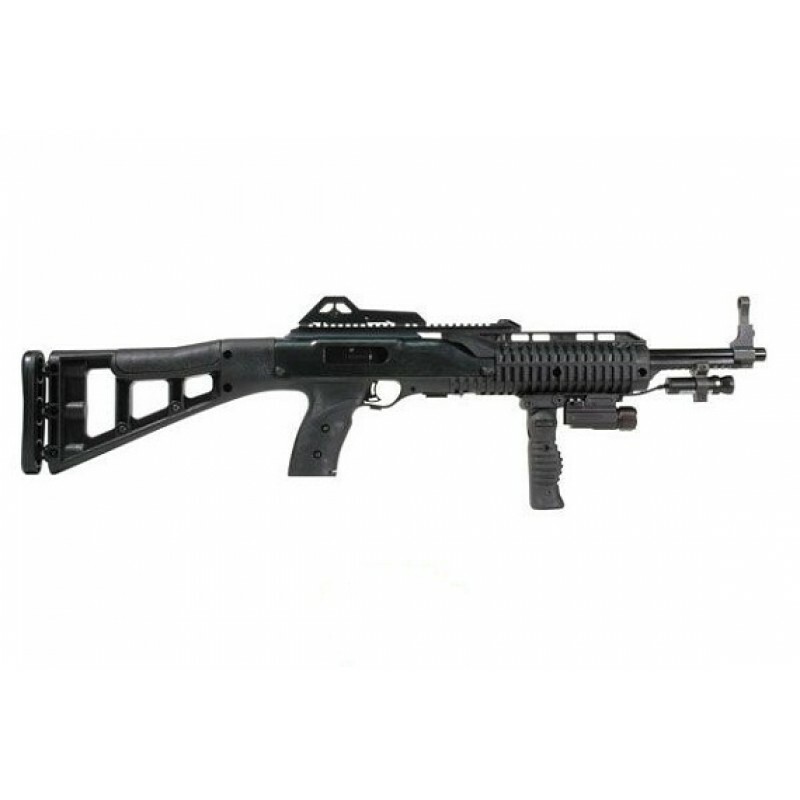 The Hi-Point Carbine Semi Automatic Rifle is an excellent choice for defense, and recreational shooting applications. The Hi-Point Carbine Semi Automatic Rifle is well made using high quality components and is 100% MADE IN THE USA! This version comes with a Forward Grip, tactical flashlight and laser combo to handle anything in any lighting condition. The Hi-Point Carbine Semi Automatic Rifle represents an incredible value, showing once again that quality does not have to cost you an arm and a leg.